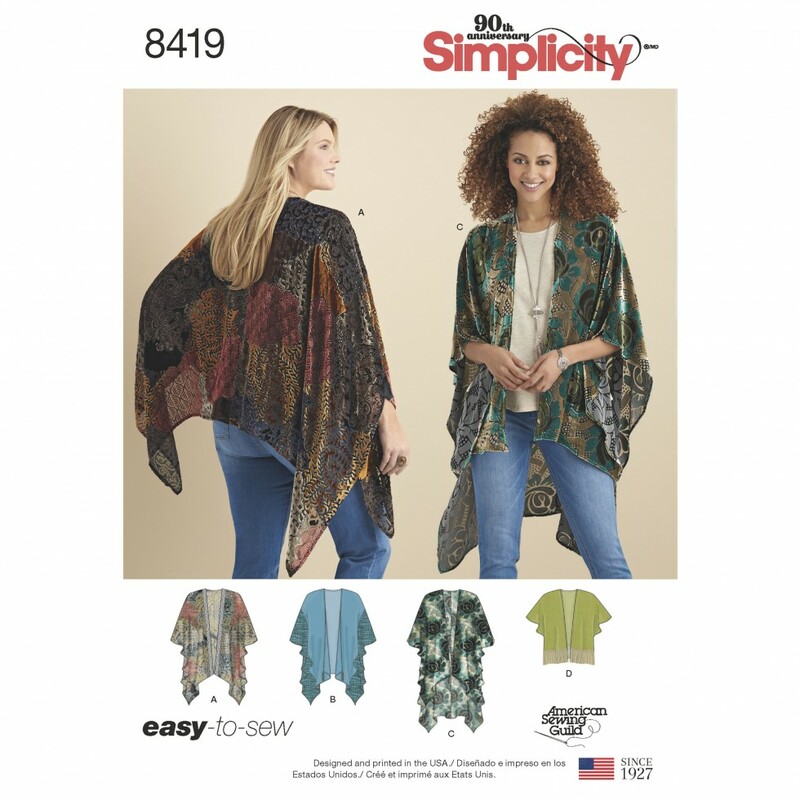 Easy to sew kimono style wrap with length and trim variations including asymmetric hemline with optional trim on front, high low hemline with more length in back and short cropped style with fringe trim at hem, Perfectly paired with velvet or sheer fabrics. Simplicity sewing pattern. American Sewing Guild.